It means the AFL won’t make the ■■■■■■■ document that explains it public which means the work of interpreting it is being done by communications specialists who apparently read about as well as they write. 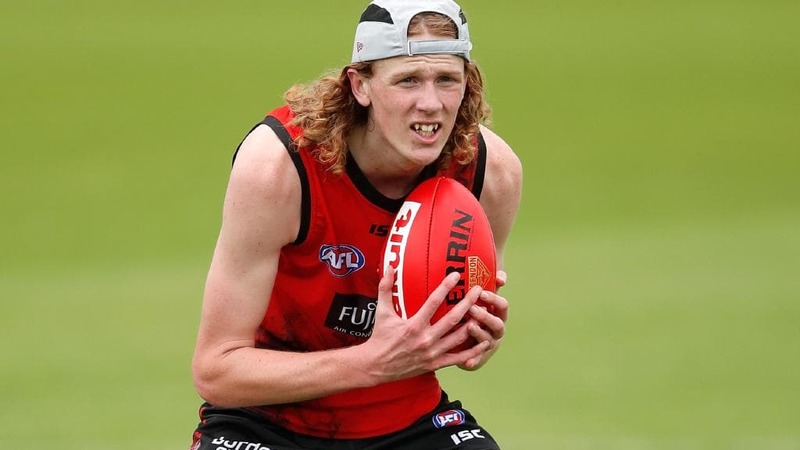 ESSENDON believes it has stockpiled enough exciting kids to cover the loss of Brendon Goddard and the trading of next year’s first-round pick. 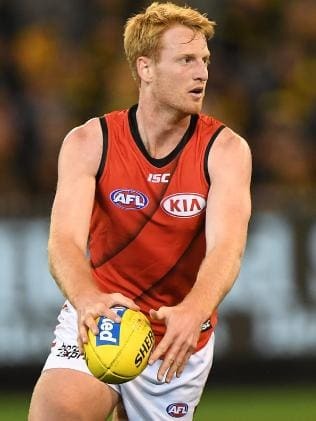 But the Dons have a difficult decision to make on Dustin Fletcher’s son Mason Fletcher, who might end up playing TAC Cup again next year as a top-age player. Essendon handed over this year and next year’s first-round picks for star midfielder Dylan Shiel, but got back a second-rounder next year as part of the deal. It means the first of three picks this year is at 34, with two second-rounders locked away for the 2019 national draft. Aaron Francis in action for Essendon. Essendon recruiting boss Adrian Dodoro said the long list of young kids ready to make the next step had him confident about the years ahead. Goddard was told there was not room for him, with Essendon believing Aaron Francis, Jordan Ridley and Mason Redman might have been held back if the veteran stayed. 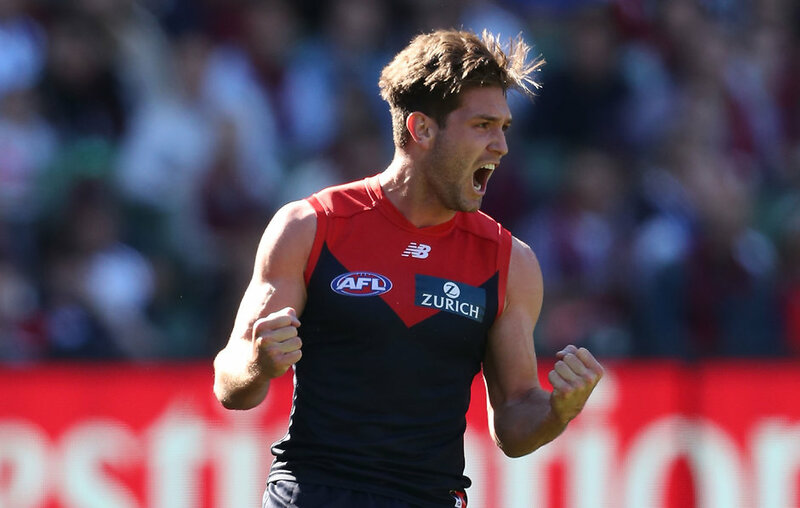 Calder Cannons full-back Mason Fletcher is still battling with the lower back stress fractures that finished his season in May and the spindly defender is seen to need years of development. Essendon could take him as a late rookie pick on November 23 or might decide he needs another year of development in the TAC Cup before making a call. “We are not committing at this point. There is still a lot of work to do,” Dodoro said. Mason Fletcher, son of Dustin, trains with Essendon. “We have picks 34, 66 and one in the 80s. We think we can find some good players. “We think the list is in really good shape heading forward and we are just as excited for some of the kids who played in the VFL side for most of the year like Aaron Francis, Jordan Ridley, Brandon Zerk-Thatcher, Trent Mynott, Kobe Mutch. “We think they have the talent to play league footy and we get Mason Redman back who got injured last year. So it’s a lot of exciting kids and it’s a real positive for us. To be fair, they probably haven’t written it yet. Sorry for the ignorance but gasxJake Neade been picked up? What’s the general feed back if he’s still available? Interesting with fletch - seems unlikely we take him this year. Would seem a pretty good option to give him another year at u18 level to get the body right and build some form. We have the ability manage his gym programs and get him into the VFL team later in the year even if he isn’t on the list. If the stress fractures are still bothering mason he should take it very easy. No harm in him taking another year off or very slowly. I like a few of those…we know they’re ■■■■ so Carlton or Gold Coast should suit…or they’ve had a bit of experience and Hawthorn have no draft picks, so maybe there. If Fletch plays U18s next year as an over ager, can we still get him under the father son rule? If we draft him at the last rookie pick, can we send him to play U18s as an overage player for half a season? Yeah we can F/S him the year after. While I’m not 100% across it, I haven’t seen that ever happen before. If he plays U18s next year he needs to be nominated by Calder as an ‘over-ager’. Therefore if he gets rookied I think it would most likely make him ineligible. My understanding is that Mason has been nominated as an overager by Calder already ! I don’t know if the nominated list is locked in at this stage ! Players are F/S eligible as long as they’ve never been on an AFL list before. It’s hard to believe the club on this.